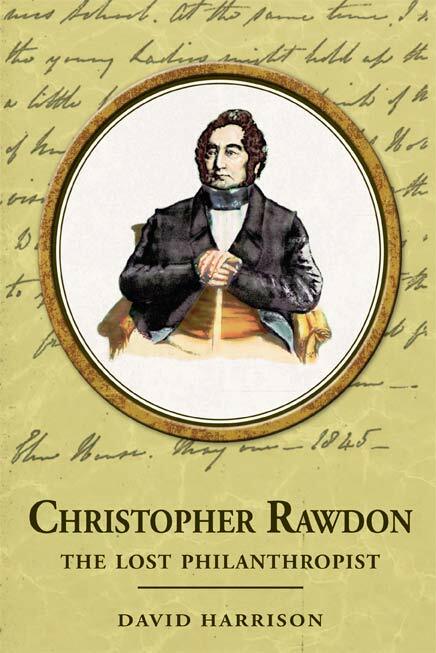 In Christopher Rawdon: The Lost Philanthropist I examine the life of 19th century Liverpool merchant and philanthropist Christopher Rawdon. Rawdon was also a Unitarian, and a theme that is discussed in the book examines how Unitarianism was an influence on the philanthropic actions of certain members, such as William Rathbone, George Holt, Charles Pierre Melly and of course, Christopher Rawdon. Certainly, one only has to refer to the great works of Elizabeth Gaskell, another 19th century Unitarian figure, to see how social issues were an important issue for certain members of the Unitarian community, and how ideas to force change were made. A reminder of Charles Pierre Melly’s work to introduce drinking fountains to the streets of Liverpool, and how Eleanor Rathbone and Emma Holt supported the University of Liverpool are other examples. Christopher Rawdon however, unlike his contemporaries, has been forgotten, despite being involved in local education, giving support for the Anti-Corn Law League and leaving the legacy of the Anfield Delph Trust, which was responsible for founding a library, playground, and an open space. The aim of this work is to revive further interest, not only in Christopher Rawdon, but other philanthropists of the 19th century that helped to make the world a better place for working people, bring better public health, an education and a better life. Unitarianism, akin to Freemasonry, also creating networks, which assisted in business and brought like-minded people together. As Freemasonry is one of my main passions, it was not long before my research discovered Masonic threads in the story of the Rawdon family, and the book will discuss this thread further. The book is available through all good book outlets. A book launch is planned in the Anfield and Breckfield Community Centre in Liverpool.